In our Investment Banking Training Course, our students learn how to value corporations using 3 strategies: 1) the income approach; 2) the market approach and 3) the asset approach. 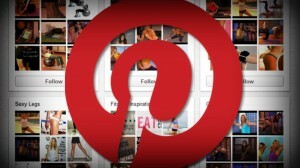 Pinterest’s $200 million raise is based on a valuation of $5 billion. With all of the skyrocketing tech valuations in recent months, it’s no surprise that Pinterest, an online social scrapbooking site is looking to cash in on some of that momentum. First reported by ReadWrite, the startup received an additional $200 million in fundraising from its existing roster of investors: SV Angel, Bessemer Venture Partners, Fidelity, Andreessen Horowitz, FirstMark Capital and Valiant Capital Partners. The series F raise was based on an eye popping valuation of $5 billion, just seven months after a similar raise valued the firm at $3.8 billion. It seems that online bookmarking is becoming more valuable in a hurry. According to a survey of Q1 2014 deals by Fenwick & West LLP, a Silicon Valley law firm, venture capital investment in startups have reached the highest levels since 2001. Companies are also seeing more leverage in deals. The numbers of venture-backed firms seeking initial public offerings is the highest since 2001. That, coupled with some notable M&A transactions has created an environment which favors the right companies. Investors seem to have elevated Pinterest to superstar status as evidenced by their investment of $425 Million in the last 7 months and $764 Million overall, with the company now poised to line its coffers with the influx of cash. Pinterest has no plans to just sit on the money however. The company has just begun paid advertising on the site and the ability to search keywords to find related pins. This will allow for the company to sell featured pins to would-be advertisers. “This new investment gives us additional resources to realize our vision” the company’s co-founder Ben Silbermann said in a statement. His investment group certainly thinks so. For more information on how to value corporations, please contact our office closest to you or email us at [email protected].